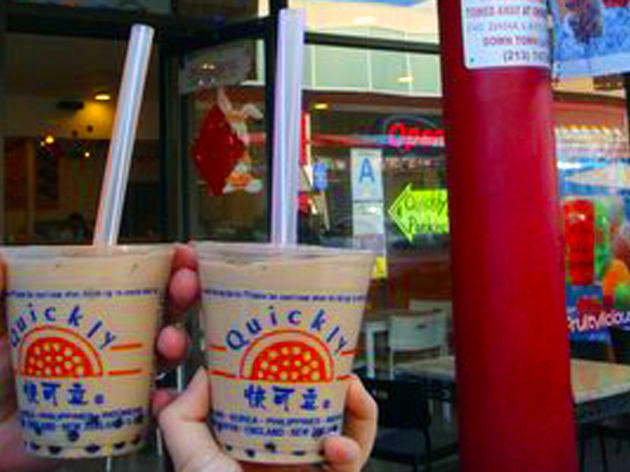 This bubble tea may not satisfy the gourmet boba connoisseur, but you get so much bang for so little buck, it’s hard to resist. Any flavored milk tea (Royal, Thai, Honeydew) with tapioca is a mere $2.19. They also have traditional Taiwanese snacks—go for fried taro balls ($3.80) if you want to try something delicious outside of your comfort zone. 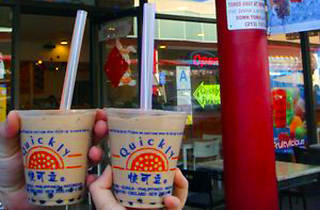 Quickly is cash-only and their service is drink-centric so if you order food you might not get it very, erm, quickly.